There are 263 articles in this category. 10 Winter Care TipsBy Joshua L. Fox, M.D.To manage psoriasis and eczema. A Good CheckupBy Jodie PappasMaking the most of children's doctor appointments. A Simple Treatment for Tongue-Tied InfantsBy Jodi GuttenbergAlso great for children of all ages! A Strong FamilyBy Fredrick HahnEncouraging an active lifestyle for your kids. All About AsthmaBy Alan B. Goldsobel, M.D.What you should know as a caregiver. All EarsBy The American Speech-Language-Hearing Association (ASHA)Teach little listeners to turn down the volume when they tune in. Ask the DentistBy Dr. Timothy ChaseHow to have great oral care from the get-go. Awareness Before FitnessBy Damian RossIs your child ready for a martial art? Bacterial InfectionsBy Wendy L. WrightTaking care of your child's health. Banking Your Baby’s Amniotic FluidBy Dr. Kate Torchilin, Ph.D.Is it necessary to store stem cells? Bedtime BattlesBy Gregory HanleyPut soreness about sleep to rest. Boosting Baby’s DevelopmentBy Dianne Sykes Scope, MS, NSCAPhysical fitness for your tot’s body and brain. Brain InjuriesBy Janet DomanHow to treat children’s cerebral issues & cope. Breathing EasierBy Sandra McTernan, RN, MSN, CPNPCurbing kids' asthma attacks. Bugs Be GoneBy Katie ShepherdSeparating fact from fiction to deal with lice. Build a Healthy LunchBy Christine Bruton10 tips to start the school year. Change Is Past DueBy Raquel Rivera-PabloHelping to restore children's healthy relationship with food. Child Workout DVDsBy Wendy Ward-Begnoche, Ph.D., Vicki McNeill, PT, DPT, and Allyson Phillips, BAAre videos that encourage kids to exercise helpful or hype? Child's PlayBy Len SimonianA look at the safety of today's toys. Childhood Concussions Part 2By Dr. Dan DaSilvaSymptoms and recovery. Childhood Concussions: Part IBy Dr. Alisa GeanAn introduction to traumatic brain injuries. Childhood DiabetesBy Tom ValentiHow much do you know about your child’s blood sugar? Childhood ObesityBy Dr. Keith KantorPrevention and treatment options. Childhood Sports InjuriesBy NIAMSA guide to prevention for parents. Children's Eye HealthBy Dr. Bruce P. Rosenthal, OD, FAAOUnderstanding vision impairments and how to intervene. Chiropractic CareBy Dr. Keri Chiappino, DC, DACBNA child with autism and a doctor’s incredible journey. Cleaning Up for Earth DayBy Michael De JongThe complexity of care. ConcussionsBy Kelsey SchoenbergWhat you need to know about children’s head injuries. Cook With MeBy Alyssa VollandAllowing toddlers to make strides in the kitchen. 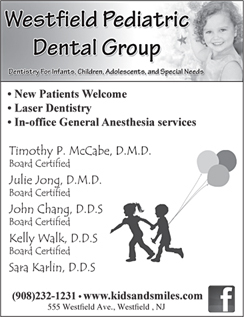 Dental CareBy Dr. Jed M. Best, DDS, MSWhen and why to get your child in the chair. DHABy Shara Aaron, MS, RD, and Monica Bearden, RDThe fat your kids need - and aren't getting. Ditch the Baby FatBy Shara Aaron, MS, RD, and Monica Bearden, RDSmart strategies to lose weight after baby. Doctor, DoctorBy Jennifer Trachtenberg, M.D.What parents are asking their pediatricians. Doctor’s OrdersBy Dr. Armen G. KetchedjianHow to respond when your child needs surgery. Don't Forget to Protect Your EyesBy Samantha ChanThe important organ you might be overlooking this summer. Don't Get BurnedBy Dr. Alysa Herman, M.D.Childhood sun protection plans. Don’t Let the Flu Start with YouBy Carol J. Baker, M.D.Keeping your kids healthy this school year. Drink ResponsiblyBy Maggie Moon, MS, RDReducing children’s intake of sugar-laden drinks. Eat Smart, Play SafeBy Sarah HasselbeckNutrition and fitness go hand in hand. Epileptic SeizuresBy James J. Riviello, Jr., MDNew guidelines for diagnosing epileptic seizures. Eyes on PreemiesBy Richard J. Powers, M.D.Understanding the needs of late preterm infants. Fabulous FeetBy Steven Weinfeld, M.D.Summer care tips for comfort and style. Five Steps to Flu PreventionBy Dr. William SearsTips to resist germs and stay flu-free. Focus on FitnessBy Sarah DussaultFind small ways to get healthier. Food for ThoughtBy Mary Ellen Renna, M.D., FAAP, PNSHow your children’s nutrition and exercise habits will impact them 25 years from now. Food for ThoughtBy Lisa SurianoLocal kids are learning about nutrition in school. Full on FestivitiesBy Dr. Susan S. BartellEating healthy at special occasions. Getting it StraightBy Dr. Diana D’Angelo, DCLearning the essentials about scoliosis. Good & Bad BacteriaBy Dr. Marc RhoadsThe role of probiotics in gastrointestinal health. Healthy HolidaysBy Rena UngerHelpers for keeping weight in check. Healthy LivingBy Harry Brandt, M.D.Fostering a positive body image in children. Healthy Schools, Healthy KidsBy Charles P. Gerba, Ph.D.Keeping germs at bay and teaching proper hygiene in classrooms. Healthy Smiles From Day OneBy Dr. Kaneta R. Lott, DDSWhat you need to know about your child's oral care. Hearing LossBy Sergei Kochkin, Ph.D.Ensuring your child is not a statistic for hearing loss. Highs and LowsBy Laura Plunkett and Linda WeltnerAchieving near normal blood sugars in children with diabetes. Holistic Therapy for KidsBy Dhara Shah, PT, MS, MBA, and Elizabeth Wivell, OTREnhancing children’s development with nontraditional practices. Home Clean HomeBy Kimberly RiderProtecting your family’s health with a toxin-free house. Hop, Skip and Jump into the FutureBy Rae PicaA look at physical activity and play through the years. I Can't Eat ThatBy Janean BrownManaging food allergies in children. In Honor of National Nutrition MonthBy Patrick HolfordLearn the five secrets of raising healthy, happy and smart children. Is Your Child Developing An Eating Disorder?By Jessica Aronson, LCSW-R, ACSW, and Karen Robbins, CSWHow to recognize the warning signs. Itching for a CureBy Stephanie KnoxAre your kids suffering from eczema? Juvenile DiabetesBy M. Maitland DeLand, M.D.Facing your child's diagnosis as a family. Keeping It Fit and FunBy KidsHealthInstilling a healthy lifestyle in your kids. Keeping It SweetBy Chick Moorman and Thomas HallerWinning the candy wars. Keeping Kids HealthyBy Bobette ThompsonTips to nix germs. Kid FitBy Lisa DruxmanGetting children on the exercise bandwagon. Kids & FitnessBy Ed TurneyWhat are your options? Kids Get Arthritis, TooBy Ingrid MontecinoSymptoms, treatments, and resources for juvenile arthritis. Mental Health in ChildrenBy Scott M. Shannon, M.D.Considering nutrition as an alternative to medications and labels. Mood SwingsBy Rosalie GreenbergUnderstanding pediatric biploar disorder. Music to Our EarsBy Anne L. OylerSafe listening habits start early. No Flu For YouBy Jen HendersonInsight for avoiding this seasonal sickness. No More ExcusesBy Ronni Litz Julien, MS, RD/LDNHow to have a year of family fitness and health. Nutrition Q & ABy Stacey AntineWith Stacey Antine, M.S., R.D. Nutrition Q & A: Round 2By Stacey AntineWith Stacey Antine, M.S., R.D. Obese and UnhealthyBy Mary Ellen Renna, M.D., FAAP, PNSTackling the obesity epidemic in childhood. Old Methods with a Modern TwistBy Freda Nogee, PTThere is something you can do to halt scoliosis. Old-Fashioned RemediesBy Carolyn HarringtonFixing what ails your family the all-natural way. On the LookoutBy David A. Schlessinger, M.D., FAACSPreventing eye injuries in children. On the Road AgainBy Merilee A. KernWeight-wise travel strategies. One Big HeadacheBy Carolyn Bernstein, M.D., and Elaine McArdleQuestions and answers on treating migraines. Organic PanicBy Jessie JafetDeciding whether to shop organically at the supermarket. Out of the ColdBy Sandra Delack, RN, BSN, M.Ed., NCSNExpert guidance on avoiding the flu. Outdoor SafetyBy Mike FingerothEnsuring children's safety in your backyard. Pain, Pain Go Away!By Jourdan CrouchHow to stop swimmer’s ear from ruining your child’s pool time this summer. Pediatric Dental AdvancesBy Steven G. Goldberg, DDSNew techniques and procedures make visits more kid friendly. Pediatric MelanomaBy Allison Vidimos, R.Ph., M.D.What you should know before taking your child out in the sun. Physical ExamsBy Helene Eisman FisherGraduate to a better back-to-school check-up. Prevention FirstBy Dr. Maurizio MigliettaTreating childhood injuries before they start. Recalls and AllergiesBy William Sears, M.D.Insight on keeping your family safe when it comes to food. Scoring in LifeBy Courtney CarrollA sports initiative preparing girls for the real world. Shoo, Fly!By Jim McHaleAvoid being bitten by bugs this summer. Shoot for SuccessBy Jonathan HermanUsing basketball to strengthen the parent-child bond. Spoonful of SugarBy Gregory Deines, DOCaring for a child with type 1 diabetes. Sports SafetyBy Rich BruggerSummer camp and program considerations. Start EarlyBy Dr. Miles Hall, DDSGood oral habits from the get-go lead to lifelong good health. Stop BedwettingBy Jacob Sagie, Ph.D.With these helpful tips. Super Sized KidsBy Walt Latimore, M.D.Avoiding obesity in children. Surprising Allergy AnecdotesBy Dr. Susanne BennettWhat to know about common issues. Taking the FieldBy Stanley A. Herring, M.D.Prepping your child on sports-related head injuries. Teaching Children the Heimlich ManeuverBy Terri HuntingtonEarly lessons can help save a life. The Cold FactsBy Anatoly Belilovsky, M.D.Answering parents’ questions about the common cold. The ER and Your ChildBy Jourdan CrouchWhat you need to know before taking your child to the ER. The Gift of HealingBy Rosemarie GelberA nonprofit serves to better life through medical aid. The Mumps!By Anatoly Belilovsky, M.D.How to protect your family from the current outbreak. The New Martial Art on the BlockBy Ann DorwinThe power of aikido for children. There’s No Place Like HomeBy Quincy YuCreating a safe, chemical-free environment for your family. Tips for a Safe Swim EnvironmentBy US Swim School Association (USSSA)US Swim School Association advises parents to begin water safety with kids at 6 months. Transforming HousingBy Carl SevilleHow going green can help you and the earth. Treating AsthmaBy Donna Backus, M.D.How you can help your child breathe easier by treating asthma. Understanding EczemaBy National Eczema AssociationAtopic dermatitis signs and treatment options. Vision AwarenessBy Pamela A. Lowe, OD, FAAOHave you scheduled a trip to the eye doctor? Vision ProblemsBy Sarah HeckerAn eye exam is one test to ensure a child passes. Water WorldBy Dr. Mark J. Shikowitz, M.D., FACSPreventing and treating swimmer’s ear. What a Pretty PlateBy Laura Gibofsky, RDUsing color to boost your family's nutrition. What is Trichotillomania?By Dr. Francine RosenbergHow this hair-pulling disorder affects millions of people. What's Up, Doc?By Randy DeanHow to pick the perfect pediatrician. What’s for Lunch?By Will Aguila, M.D.Preparing children a nutritious midday meal. What’s Lurking in the Water?By April Smith CarpenterHow to play it safe at the pool this summer. When Alzheimer's HitsBy The Alzheimer’s Association, Greater New Jersey ChapterHelp for those affected with the disease. When an Examination Is NecessaryBy Dr. Adam KeslonskyUnderstanding pediatric foot deformities. When Illness StrikesBy Beverlye Hyman FeadTalking to your child about cancer. When to Dial a DocBy Sean GroverBehaviors in kids that warrant therapy. Who Put the “Kid” in Kidney Stone?By Dr. Michael ErhardUnderstanding kidney stones in children. Why Cavity Protection Is No Longer EnoughBy Jessica Meeske, DDSBrushing up on the latest pediatric dentistry concerns. Winning the Breakfast WarsBy Ellen NotbohmThe importance of breakfast and how to make it a daily ritual. Winter Means Cold, Flu... and RSVBy Sergio Golombek, M.D., MPH, FAAPInsight about respiratory tract infections. Would You Spray Your Child With Pesticides?By Mark Christensen, Ph.D.Some surprising facts about head lice that every parent should know. Your Child Has AsthmaBy Dr. Leonard Bielory, M.D., and Dr. Loren RosenbergAdvice about asthma. Youth and Eating DisordersBy Patricia KochelInstilling a positive attitude toward food.